What's in Your Bag for Summer? Plus Giveaway! I live the life of forever summer. The tan that never fades. The bikinis that quickly fade over numerous beach trips. And the addiction to the smell of coconut oil and sunblock combined. Naturally, I have several prepacked bags that are ready to go with me on those last minute beach trips. Let's take a quick look at some of the stuff I have inside.. I've had mine for almost a year and I don't just take it on trips. I even use it at home. It's very light, absorbent and air dries in less than an hour! 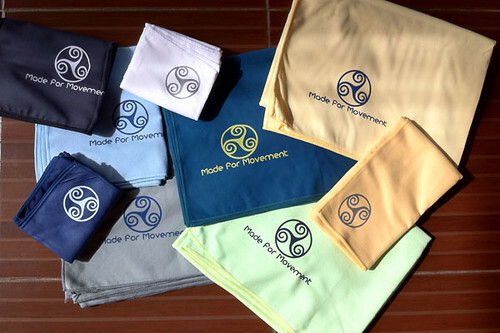 Check out their new Travel Towel colors here. I discovered Headware a few weeks before our 6-month Asian trip and I just couldn't travel without it! My best uses for it: sleepmask on bus/train rides, scarf to prettify any drab outfit and a head band when I'm on those motorcycle rides. Check them out on facebook here. No surprise here. Protection for your eyes when the sun is harsh is necessary. From high end frames to $2 "Raybans" in Vietnam, I've tried them all. Do you have any recommendations? 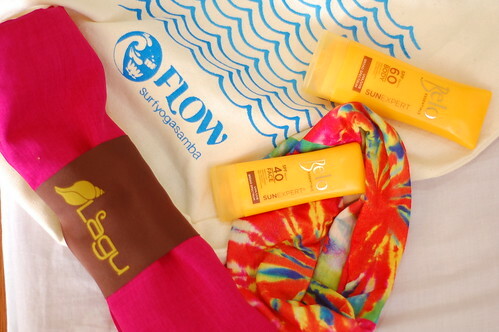 The first time I tried these products was when we got them on the last Surf Yoga Samba retreat. We got the one for the face and for the body as well. I liked it immediately! It's not too greasy and SPF 60 for surfing is perfect! Surfista Elaine introduced me to the first beach-friendly beach blankets. Unlike ordinary towels, Lagu repels sand, allowing you to lay down and enjoy yourself and at the same time conserving the beach. The material is allergen-free and dries quickly so it always smells fresh. I took my blanket for a test run in Baler and Zambales recently and it's my new favorite travel item. The colors are refreshing, getting the sand out is a breeze and it packs so well! The material is also thick enough that it doubles as a blanket on those cold bus rides. Check them out at the Ava Online Store. Believe me, I've tried them all! I've tried a lot of expensive brands. And all they gave me were painful soles after some of them broke even for just a few weeks! My Bling Ducks are sturdy, comfy and don't you just love those colorful, summery designs? And when you're not on the beach and walking around a lot, do your soles a favor and give them Suelas! I got my Llanura gunmetal pair a few weeks ago and they complement all my outfits. They're comfy, a great trade-off to heels and you can fold, flatten and fit them right into your bag. I will definitely bring them along on my trip to Spain in July and walk around Madrid in those pretty flats! I always complain that there are not enough beach wear stores in Manila that sell fair-priced bikinis. And when I say fair, I mean prices that won't make you gasp and yell: "Are you INSANE? And only for the bikini top?" Seriously, for a tropical country, we don't have a lot of local brands who make well-fitting, beautifully designed swimwear. Brown Belly bikinis is one of the few exceptions and their price is something to smile about. Check out their stuff here. I always bring a water bottle when I go on trips. Not just because I easily hydrated, it's also a good way to save money and save the environment but eliminating those plastic bottles. 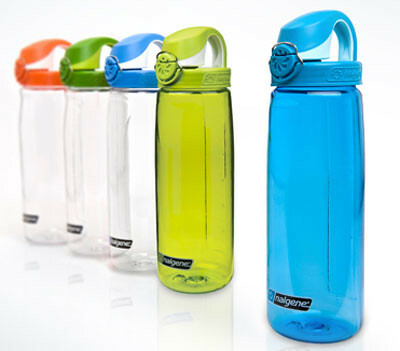 I did a quick survey and most travelers recommend Nalgene which is BPA-free. My favorites are those light, canvass totes that you can stuff a lot of things in. I learned about Luntian Bags a few weeks back when I met the owner, Marina. She told me about their cause and that they provide a livelihood program in Mabini, Batangas for unemployed women. 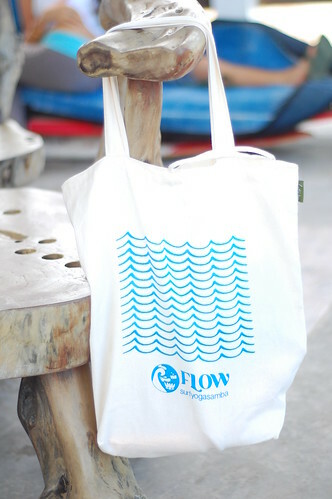 They are promoting the use of stylish, earth-friendly reusable bags instead of wasting plastic ones. How cool is that? That's my roundup of must-haves for summer. And if you live in the Philippines, it's always summer, somewhere! What are YOUR summer must-haves? Share them by commenting on this post and get a chance to win a LAGU beach-friendly beach blanket! I will randomly choose a winner on May 21, 2012. Winner will be announced on the Sole Sister's Facebook Page. Contest Closed. The winner of the Lagu beach mat is JamelleKatrina. Thanks for everyone who commented and joined this promo! shades, chapstick, sarong, flipflops and a good book for me! I always, always bring my Armada Sport sunblock and of course, my camera! Sun protection is really important and a summer outing is never complete without taking photos. Hehehe! Mine is a book. My travel doesn't seem complete without one in my backpack. My ultimate must-have would be sarong and sunblock. summer is 8 long months around the world so i always bring contact lenses, swimsuits, sunglasses, sunblock, lip balm and my water bottle -Big Rigg 34 oz. my must haves include sunblock with spf50 and up, microfibre towel, sarong, bikini, flipflops and lipbalm. Aside from the usual sunblock, bikini, sunglasses and flipflops, I always always bring my trusty malong! I am a budget traveler so my friends and I almost always stay in cheap hotels/hostels where the sheets are sometimes unchanged or dirty. The malong not only serves as a blanket during the cold bus/plane rides, but also helps me sleep well at night knowing that I am not sleeping on sheets with someone else's bodily stains on! Oh, and I never forget to bring mosquito-repellant lotion - protects my skin from bites when I stay out late at night! once we went to ilocos, i wore it from the house to the windmills, up to pagudpud! and yes, we're still dripping wet when we went to the market to but pasalubong!! Have a headwear too!! And its not just for the beach. 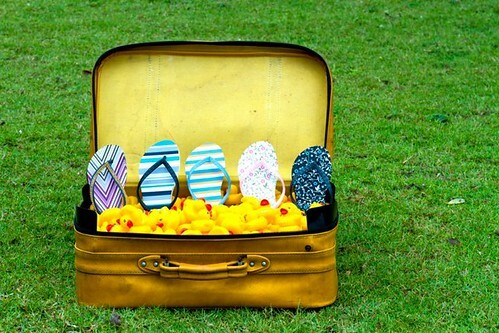 During summer, my bag is packed with a headwear or floppy hat, sunscreen, and shades as protection from the sun and a bikini, coverup, sundress, comfy flatshoes and flipflops to keep me fashionable. My summer must haves are my SPF 75 BeachHut spray sunblock, a bottle of H2O to keep me hydrated, a pair of Cushe flip flops, my ever reliable sunnies and my best travelling buddy - Yago, my cam - all in a reusable tote to keep 'em all together. I can go get lost in paradise with these. But I think I'm missing one... I need that Lagu beach-friendly beach blanket to complete my beach travel set! Summer is love indeed! Definitely the Headware!! It's the most versatile piece of head clothing available. oh and the microfiber towel. i have the sea to summit brand. leave everything .. but not my camera & a small dry bag! My summer must-haves are my sunnies, lip balm, sunblock and my camera! beach-friendly beach blanket. I live the life of forever summer bcoz of my passion as a marine biologist. I love summering! Water, umbrella, electricfan and sunblock!! A summer must haves for me! My summer must-haves are: a pair of white flip-flops, camera, sarong, a travel pillow, a multi-functional bandana, water bottle and perfumed talc. my ultimate summer must-haves: sunglasses, sarong, bottled water, lip balm, sunscreen, bandanna or scarf (as head gear or sleepmask), flip flops (or Quiksilver slippers), and camera. 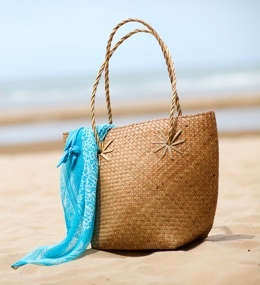 my ultimate summer must-haves: flip flops, sunscreen, sunglasses, water bottle, sarong. summer must-haves: comfy shirts and shorts, sunscreen, hat or cap, bottled water, lip balm, flip flops, camera. My summer must-haves are my Headware, pair of sunglasses, Belo Essentials SunExpert, Carmex lip balm, QS boardshorts and ZemGear footwear. mine would be sunglasses to block the sunlight when i sleep in the beach, book to keep me busy, ipod to soothe my soul and camera to document the happiness of summer! 5. MP3 player -to knock me out by any serenading music while taking a rest/nap on the sandy beach or swinging on a hammock . 6. Multipurpose sarong- can be used to keep me from the heat of the sun/ cold of the land breeze during night time.